Having hot flashes in your chakras? Followed by a cold wave? It’s happening, and you aren’t alone. It’s completely different than the standard hot and cold sensations we’ve experienced in the past. These hot flashes are definitely centered in various chakras, and you can feel the energy surging through the body. The heat is almost unbearable. It feels like everything old is being cleansed by fire, from the inside. Then the energy surge can be felt up the spine, and blood rushes to the face, feet, and hands. This isn’t something I can sleep through. It wakes me several times a night. It happens at random times during the day also, but it isn’t quite as jarring when I’m already awake. As I understand it, these are kundalini activations, meant to move out the old, and make room for the new. I’m exhausted today, because last night I spent ALL my dreamtime working with my Higher Self to integrate these new codes. I usually work some while I sleep, but this felt like overtime. So much coming in. Funny story… at one point, while talking with my Higher Self, she activated my throat and heart chakras. I jumped awake from the heat. As I fumbled back into my body, I heard my one dog panting, and the other one ran for the water dish. This is a planetary ascension, not just a human one. My dogs remind me of that all the time. The new codes are new geometries to create a new experience. Everything is based on Sacred Geometry, and our world is no different. There has been much talk about our bodies changing from carbon to crystalline base, and now I see how that’s possible. Just do it a little at a time, so the system isn’t overwhelmed. Extra toxins make your body work harder to clean out the old. My system is pretty darn clean at this point, and I’m still exhausted. Many people have been getting various levels of sick, just because the upgrade is a lot to put on an already taxed system. There are two distinct things going on. First, the incoming codes are just coming in. It’s just evolution. Solar activity and cosmic stuff is way above my pay grade. Second, free will matters. We get to decide if we want to clean out our systems to make evolution easier, or not. We can choose to support the inevitable, or fight the change. Spoiler alert – change always wins. I’m not lecturing, just reminding you that you have a choice. I just want you to be aware these energies are coming in either way, so your choice lies in how you handle it. Yes, there are further choices, mastery choices, like aligning your vibration with your highest timeline. This is the first choice. Beyond whatever you think about the body being a temple, there is no doubt your consciousness is only here as long as you have physical host, your body. The nice part is that many of the old archetypes have been cleared from the collective consciousness. It is easier to make personal changes now than ever before. Victim mentality, addiction, poverty, power hierarchy, and so many more, have fallen. The conditions will persist for a bit, but the archetypes holding them in place are gone. This means things that used to be a real struggle personally are just easier now. Even if you have tried to shift something before, try it again. Beliefs and patterns shift much easier at this point. Also, remember that all physicality is all one thing. As we feel these activations in our chakras, Gaia is activating, as well. Earthquakes and volcanos and cold snaps, oh my. 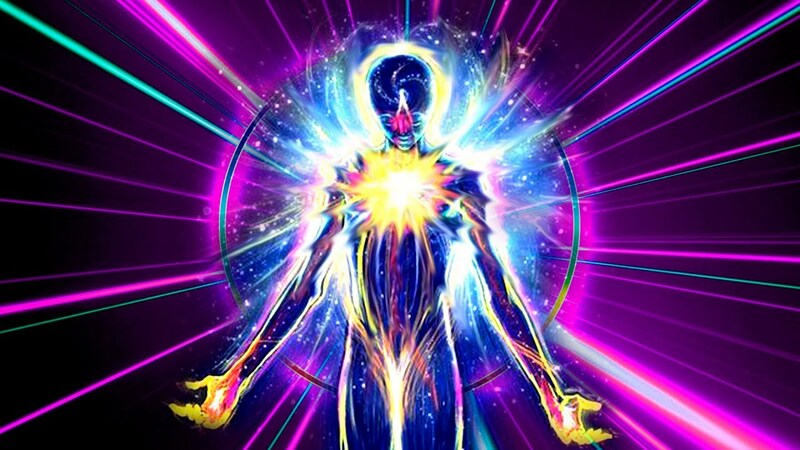 We are all feeling the kundalini awaken… feeling the power surge. We were built for this. We are here to ride this wave. Extra sleep, extra water, extra awareness… you got this! Thanks for reading, and passing it on!